If you think you might be interested in a beautiful new sunroom that will change your life and you live in Central PA, visit the Four Seasons Sunrooms showroom in Harrisburg. 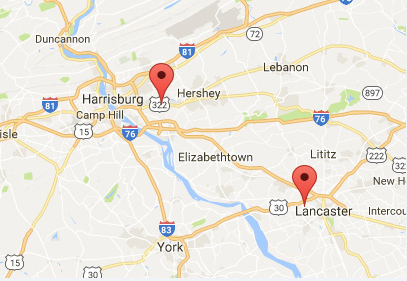 At our standalone building along Paxton Street, at 7831 Paxton Street, Harrisburg, PA, you’ll find our main showroom. When you arrive, one of our knowledgeable and friendly staff will be more than happy to show you around and tell you all about what Four Seasons Sunrooms has to offer. Why Visit the Harrisburg Sunroom Design Center? Maybe you are not sure yet if you’re ready for a sunroom, or maybe you are, but you’re just not sure exactly how to proceed. Wherever you are in your journey, our experts can help. There are many options to consider when it comes to our Four Seasons Sunrooms location in Harrisburg — perhaps more than you realized. into getting their own sunroom, you probably have no idea. That’s why it’s so important to see the options for yourself. Our consultant can show you the different types of material and how they can benefit you. They can educate you on the benefits of the amazing CONSERVAGLASS SELECT™ energy-efficient glass that goes into your sunroom windows. They can help you decide which options are right for you and your budget. There are enough sizes, styles and features to suit just about any home and any style. Once you’ve settled on some options and have been suitably enthused by your visit to our Harrisburg sunroom showroom, you can schedule an in-home consultation and estimate. We will schedule a time that’s right for you to visit your home and decide on a design plan for your new sunroom. Our consultants will let you know about how much you can expect it to cost so you can start planning. 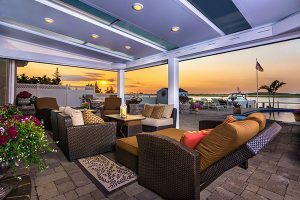 Next thing you know, you’ll be on your way to having a brand-new sunroom or Four Seasons porch enclosure in Harrisburg and transforming your home in ways you might never have imagined. Visit Our Harrisburg Showroom Today! See us at our Harrisburg showroom today! Bring the whole family and make a day of it. You can head to Hershey’s Chocolate World and taste test your favorite Hershey’s treats, visit the National Civil War Museum or the State Museum of Pennsylvania — and squeeze in a little time to check out our incredible sunrooms to get inspired! If you need more information before you come — about how to get here, what you’ll find when you arrive or about new sunroom installation in general — feel free to give Four Seasons Sunrooms and Windows in Harrisburg a call at 717-564-2244. We can’t wait to see you and tell you all about these one-of-a-kind sunrooms for your Pennsylvania home!